Butter. Butter. Butter. Biscuits swimming in butter. Doesn’t get any better, right?! 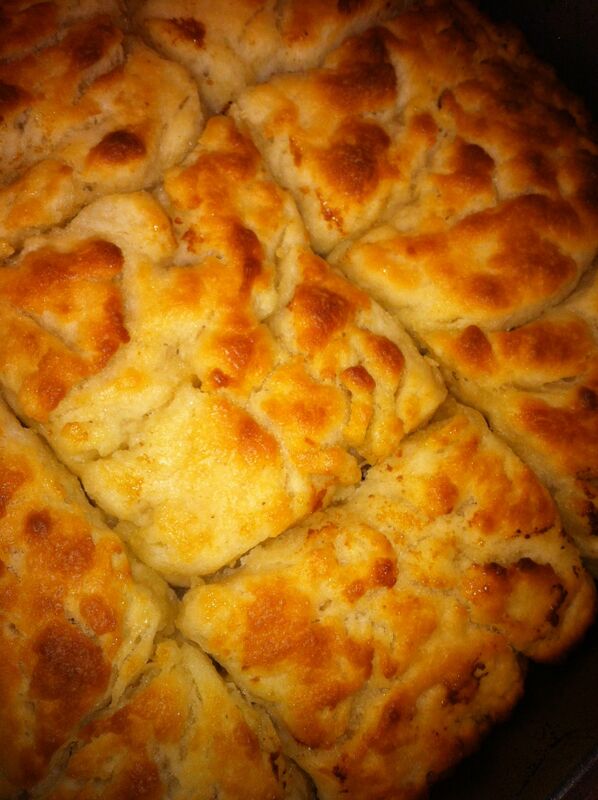 If you are Paula Deen Jr., you will be in love with these biscuits! I think my heart and arteries cried a little after this, but it’s not like these are to be eaten every single day. This recipe requires no special ingredients or baking techniques, but it tastes like it’s what they’ll be bakin’ in Heaven! This recipe is pretty simple. 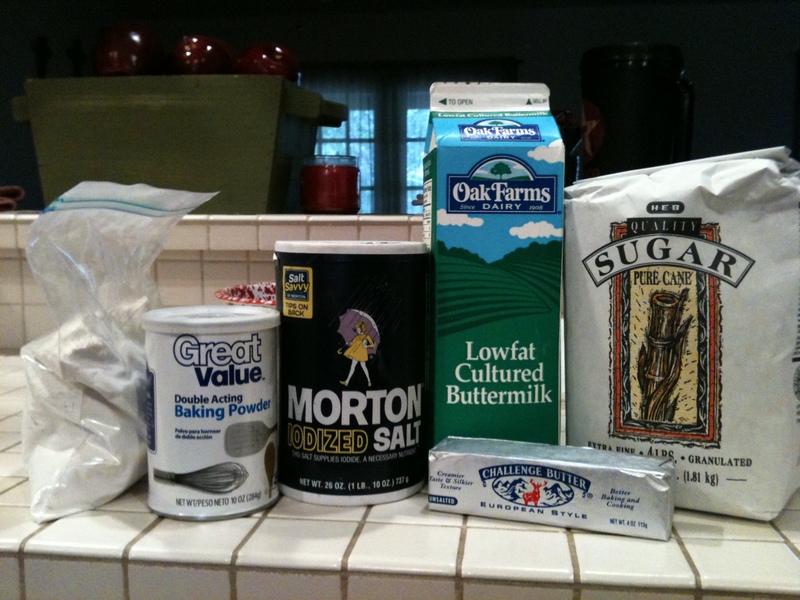 First, mix all of the dry ingredients together (flour, sugar, salt, and baking powder) and stir until they’re evenly combined. 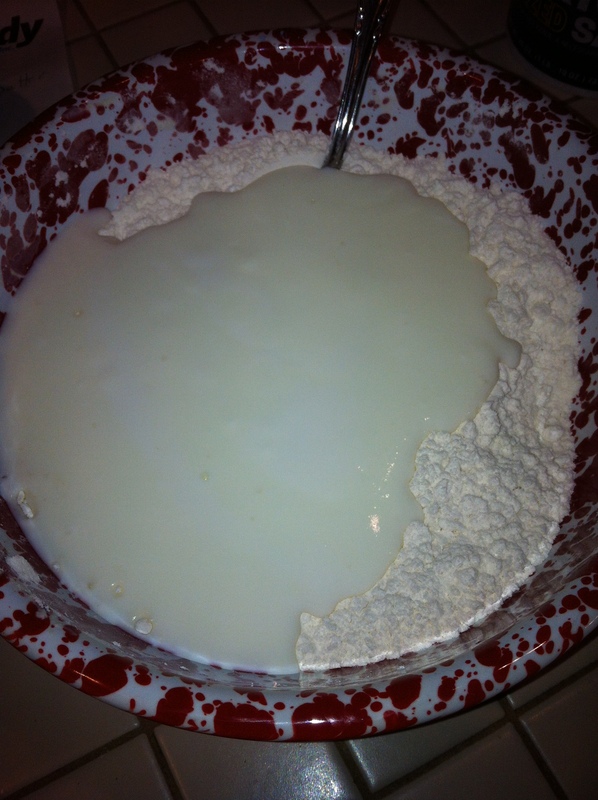 After all the dry ingredients are mixed well, add the buttermilk. If you do not have buttermilk on hand, you can make your own by mixing 2 c regular milk with 2 tbsp white vinegar or lemon juice and let stand for 5 minutes. Of course, you’ll only use 1 3/4 c though. Now, mix all of the ingredients together until they form a ball. 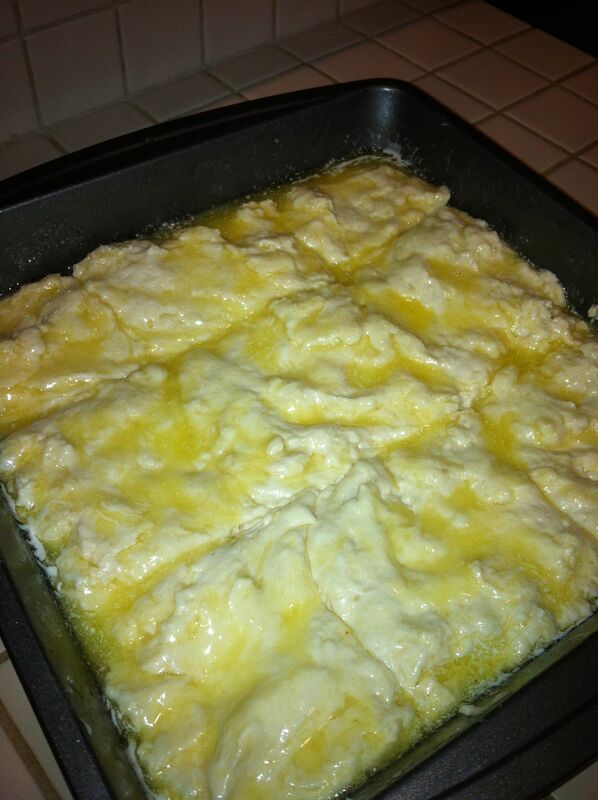 Next, melt the stick of butter in a microwave safe bowl and pour it into the bottom of a 9×9 pan. 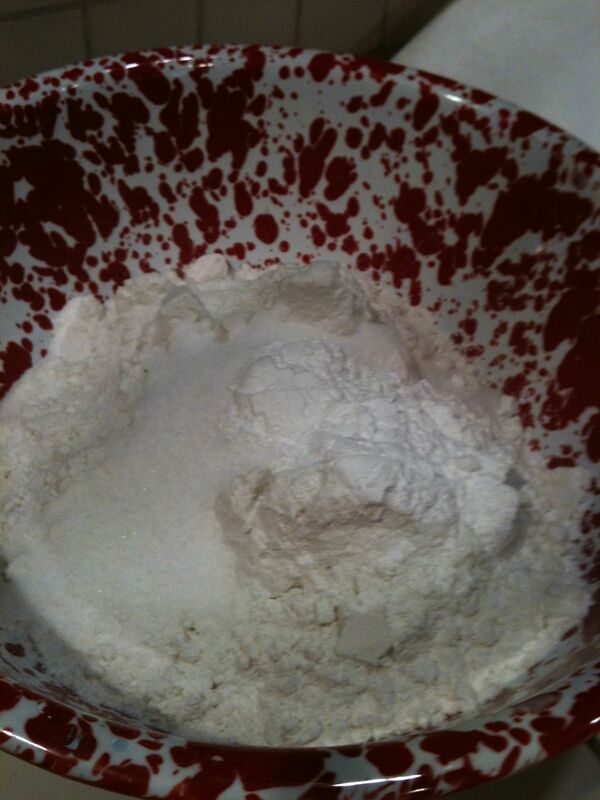 Then, add your dough and press it out until it reaches the sides of the pan. You’ll want to cut the biscuits so that you come out with 9, then you may have to go over them again. They turn out really rustic :). Bake at 450 for 20-25 minutes until they’re nice and brown on top. Next, eat ’em up with some jelly, jam, or honey!!! Good luck not eating the whole pan ;). I have made these yummy biscuits! They are so easy and delicious. To save a step and another dirty cup or bowl just melt the butter in your baking dish then put in the dough mixture, press it to the edges,cut the squares and stick them in the oven. I passed this recipe around the office and it was a huge hit. In the next-to-the-last picture it looks like the butter may be on top? 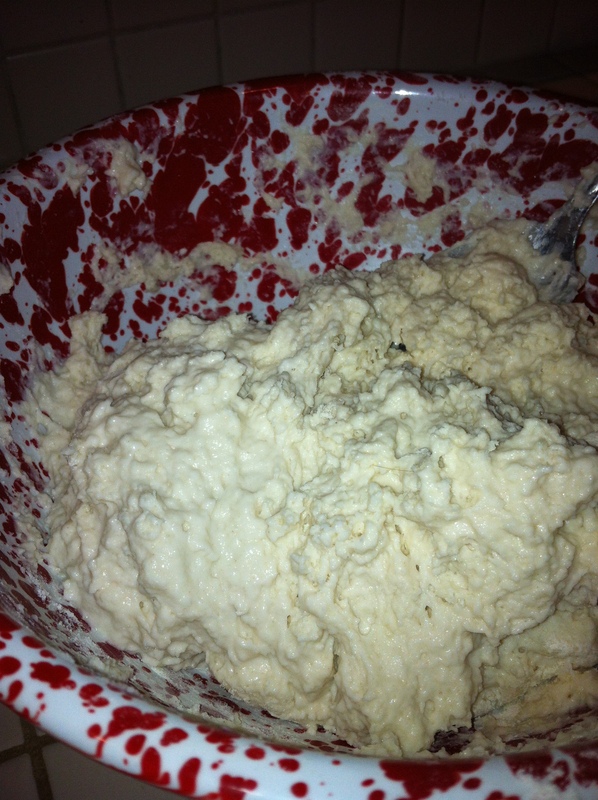 Do you put the butter mixture in before you put the dough in or on top of the dough? Looks yummy. The butter mixture goes in before you put the dough in. The butter comes up over the side and ends up on top of the biscuits, so it really is like the dough is floating in a pool of butter. will regular milk not work ok? Regular milk may work, but it will change the flavor without the tanginess of the buttermilk. Awesome! My mother had the recipe, so I’m not sure where it came from.. I’m sorry! I made these tonight and they were amazing. But, just a word of warning, and this was totally my fault. I put them in a pan that was evidently too small and butter was pouring into the oven. I was scared the oven would catch fire. So make sure to use the correct size pan. Oh my good Lord! These were delicious. My husband raved. This is my new go to for biscuits. Thanks for sharing!